Stretch marks are zebra-like marks or streaks on the skin and may appear to be pink, red, or purple. These stripy marks can appear on tummy, upper arm area, breasts, thighs, and derriere. Over time, these marks can fade to a whitish or gray color. Weight Gain: Your skin may suffer a strain when you gain a substantial amount of weight in a short period of time. Rapid breast development, weightlifters, and adolescents experiencing a growth spurt may also develop stretch marks. Pregnancy: Pregnant women, particularly those who are in the later stage of their pregnancy are particularly susceptible to stretch marks. This may be the result of hormone and excessive stretching of the skin. Medication: Consistent use of some oral medications, steroids, lotions, and corticosteroid creams may cause the development of some stretch marks. Diseases or Health Conditions: Some conditions as Marfan syndrome, Cushing’s syndrome, and adrenal gland disease may cause stretch marks to develop. 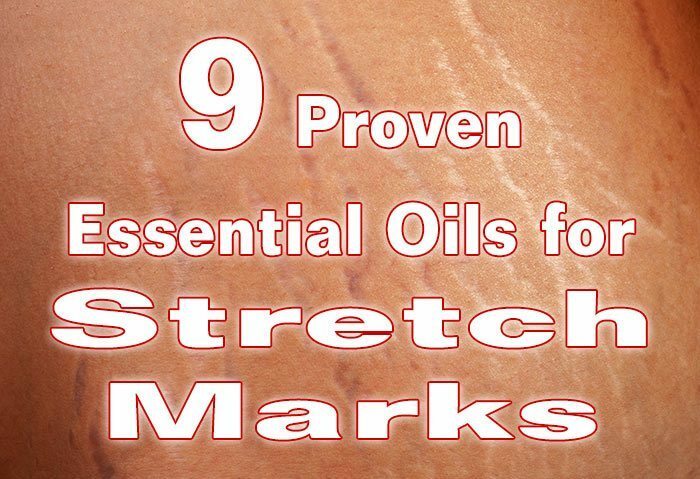 Essential oils are a great natural solution to your stretch mark problem. Essential oils help restore moisture to skin while repairing the skin and regenerating skin cells. Due to the powerful nature of essential oils, make sure to mix each essential oil with a carrier oil or cream before applying. 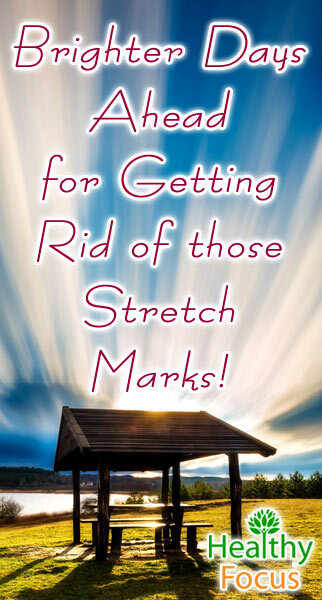 Below is a list of the most effective essential oils when it comes to healing stretch marks. This healing, tranquil oil heals stretch marks in a snap. Long revered for its medicinal properties, lavender essential oil is known for the way it lovingly treats, tones, and rejuvenates the skin. Lavender essential oil is commonly used in commercial skincare products and massage oils geared toward stretch mark removal. This fruity smelling essential oil contains many healing properties that help calm distressed and stretched skin. This anti-inflammatory oil is an astringent that helps boost blood circulation in the skin, helping skin to repair itself while helping stretch marks fade. This citrusy essential oil is extracted from orange blossoms and combines fashion and function with its sweet scent and healing abilities. Neroli essential oil has regenerative and restoring properties, helping to revitalize sagging skin. Regular use of this energizing oil will help prevent the development of stretch marks. Neroli essential oil is also effective in fading stretch marks already present. This earthy smelling essential oil is especially beneficial and safe for pregnant women. These anti-inflammatory essential oil stimulates blood circulation, helping skin to repair itself. Add a couple drops to your bath for a healing and relaxing experience. Mix a couple drops of sage essential oil with a carrier oil and massage onto your stretch marks after pregnancy. Like sage essential oil, patchouli has a unique earthy scent. This healing oil encourages speedy recovery of the skin, preventing the development of scars. Patchouli essential oil encourages the growth of healthy new skin cells while adding moisture to skin. Frankincense essential oil is a wonderful treatment for healing and fading scars, including stretch marks. This healing oil helps prevent tissue damage while helping to repair skin stretched to its limit. Consistent use of this oil will not only fade stretch marks, but will prevent new ones from forming. This sweet floral essential oil is commonly used in beauty products due to its healing properties, especially stretch mark creams. Geranium essential oil helps boost collagen production and helps keep skin elastic. This essential oil will help prevent and heal existing stretch marks. This flowery essential oil heals many skin ailments, such as dryness, scaring, and oiliness. While keeping things balanced, jasmine essential oil also helps boost the skin’s elasticity while nourishing the skin with healing properties. Jasmine essential oil both fades current stretch marks while preventing new ones from developing. Myrrh essential oil contains astringent properties, meaning it helps keep skin in shape and maintains healthy blood flow to the skin. This warm, earthy essential oil promotes a youthful looking skin while helping to prevent the development of stretch marks. Myrrh essential oil for stretch marks works best when it is combined with other essential oils, such as lavender, frankincense, and sandalwood. Do not use myrrh essential oil during pregnancy. 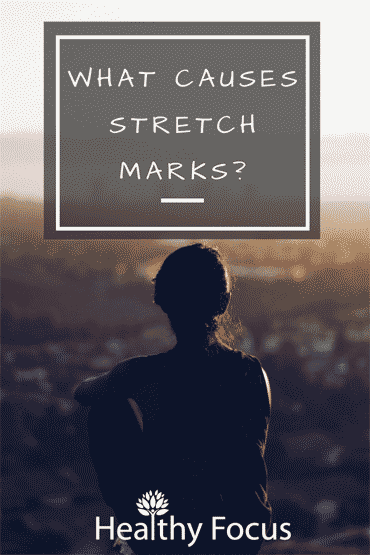 If you want to branch out from essential oils, there are several other natural alternatives you can try to help erase your stretch marks. Its no secret that getting enough vitamin E is essential to maintaining healthy skin. Vitamin E helps prevent stretch marks by boosting the skin’s elasticity and preventing the development of marks. Women who are pregnant should stick to topical vitamin E ointment, as taking vitamin E oil may not be safe. This healing oil helps to restore skin and generate healthy new skin cells. This powerful antioxidant helps prevent environmental damage to the skin while moisturizing the skin and helping to prevent the development of stretch marks. Rich in fatty acids, rosehip oil helps nourish the skin with vitamins and antioxidants. High in vitamin A, this healing oil also helps prevent aging of the skin. Regularly applying rosehip oil to areas vulnerable to stretch marks is a great preventative measure. Rosehip oil is also great for reducing the appearance of stretch marks, as it helps to fade any discoloration involved with stretch marks. Castor oil has many functions in the world of health and beauty and healing stretch marks is one of them. 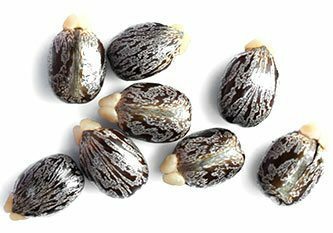 The active ingredient in castor oil is ricinoleic acid, a fatty acid that moisturizes the skin while preventing discoloration. Jojoba oil is great for healing many skin conditions as it acts just like collagen. Not only that, but it also has a similar molecular structure to oil glands, helping to keep skin moisturized and balanced. Rich in minerals and vitamins, this healing oil helps prevent the development of stretch marks from occurring. Always consult with your physician before using any essential oils or any other treatment for your stretch marks. Women in their first trimester of pregnancy are not advised to use essential oils. Pregnant women should consult with their doctor before using essential oils during any stage of pregnancy. Due to the high concentration of essential oils, always dilute with a carrier oil. Pregnant women should consider using calendula oil when diluting essential oils.